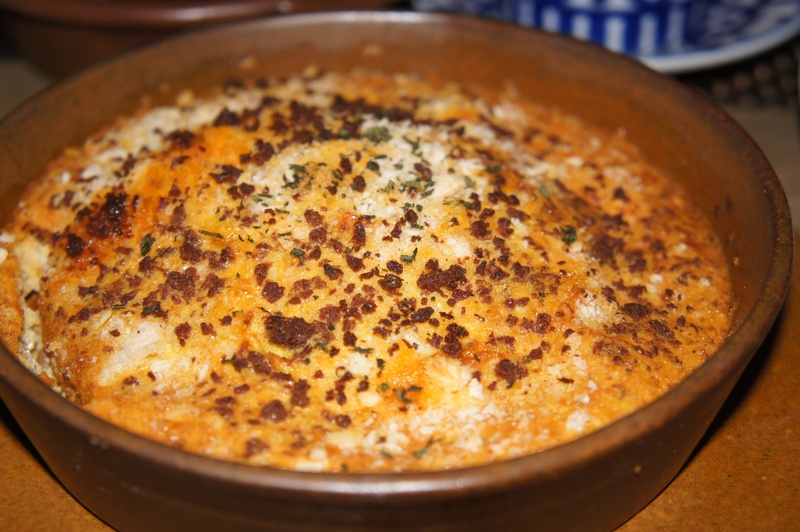 A Spanish restaurant nested in Singapore Art Museum, Via Mar is one of the few tapas bar in town. With such high accolades given to Spanish chefs and cuisine, I am surprised by the lack of numbers as well as quality in terms of Spanish restaurants in Singapore. Via Mar, fortunately, is not one of those mediocre Spanish restaurants, but it is not an outstanding one that would featured high in my list of must-go restaurants in Singapote. We ordered a selection of tapas, as well as a paella as the main filler. I will not waste time on the tapas that are not interesting, but described a few more outstanding ones. 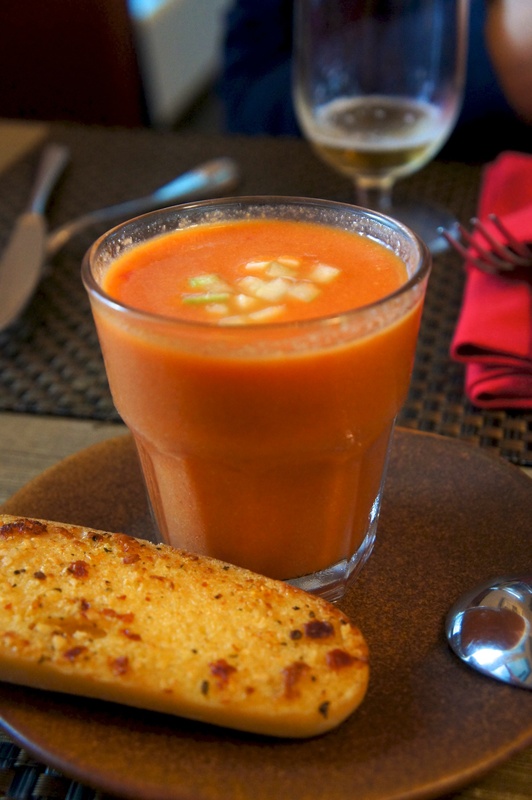 Cold Tomato Soup ($8) is served with a slice of toasted garlic bread. The soup is a great starter, tangy and refreshing (but not cold enough for my liking). 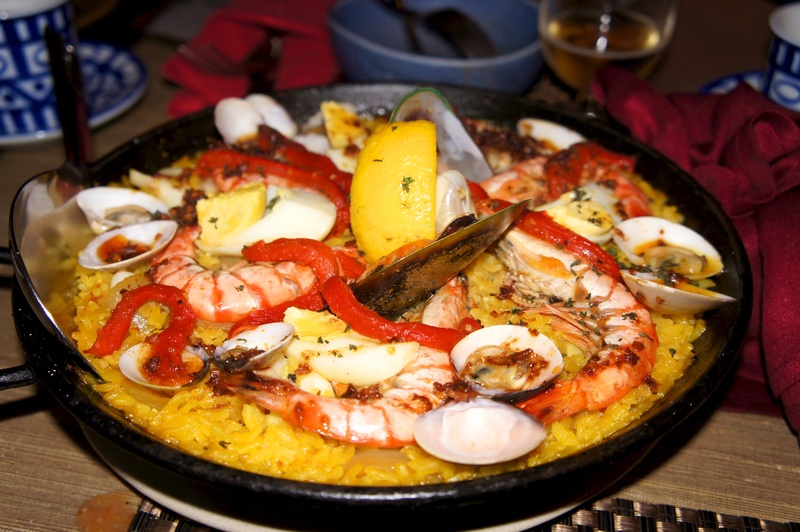 The Seafood Paella ($35) is Size S (instead of the Size L that is also available). But it is not smaller in flavour. Decked with enough seafood to hide the saffron rice underneath. The rice is cooked just right with all the seafood flavour. If there is one fault I can raise about this paella, it is that there is too much MSG.\. We drank bottles of water when we went home. We ended the evening with churros. 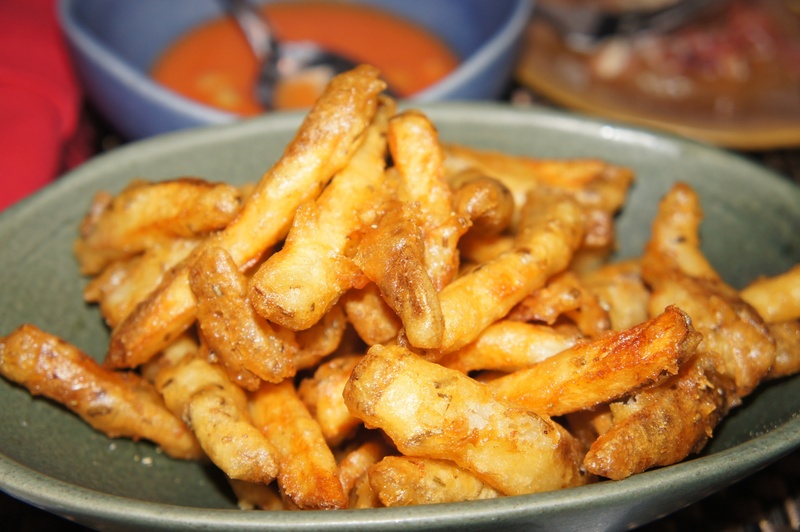 Regrets – the churros are fried with very old oil, and therefore tasted stale. So conclusion, some good dishes, mostly normal stuff, but a few disappointments (particularly with Spanish standards like paella and churros). Average costs per person without wine – $40. Excellent surrounding (SAM) and attentive staff made up for the inconsistency. It is a good tapas bar in terms of selection, but there are still around 20 other items I have not tried, so I cannot conclude that it is a write-off. Recommendation: Can go for a quiet drink, not for proper dinners.